If you hurry, you can get the 2017-released variant of Apple's incredibly successful smartwatch for as little as $149.99 in a 38 mm size and either a silver and white or space gray and black color combination. 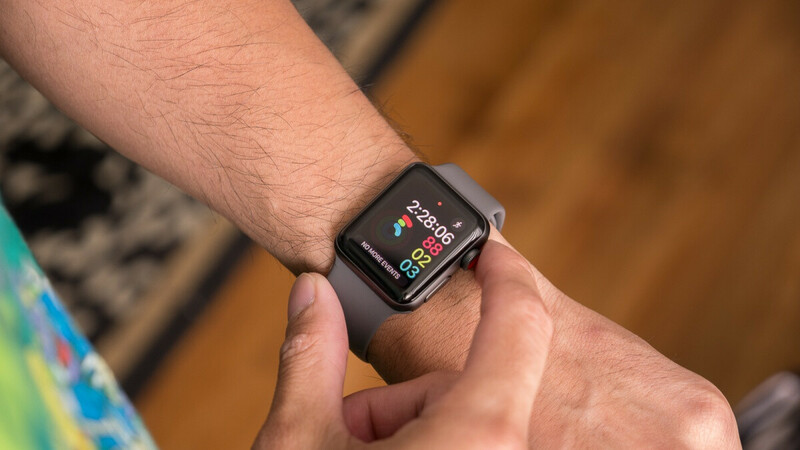 These GPS-only models are still available directly from their manufacturer at an arguably excessive price of $279 brand-new, while Apple's refurbished storefront currently offers just a selection of LTE-enabled devices with both 38 and 42 mm cases. Speaking of, Walmart has a trio of cellular-capable 38 mm Apple Watch Series 3 versions on sale as well, each of which fetches $209.99 refurbished. These space gray/black, silver/fog, and silver/seashell flavors of the well-reviewed wearable device are discounted from Apple's typical prices of $379 and $319 in brand-new and refurbished condition respectively. You're looking at pretty massive savings there, although the "catch" might be a significantly shorter warranty than what Apple normally provides with both new and refurbished products. Walmart's special listings are completely devoid of any warranty information, which is rarely a good sign, but given the reputation of the world's largest retailer, you can probably expect to receive fully functional products with minimal signs of wear. In terms of features and capabilities, the Apple Watch Series 3 is actually not that different from the Series 4. While the life-saving ECG monitoring technology is a new thing, the old models still come with sharp displays, excellent battery life, standard heart rate tracking, water resistance, and plenty of horsepower under the hood. Not to to mention nics and scratches.